–	It is not necessary to renew an existing MRI, so long the boxer has not been knocked out. These are the rules and they are subject to the national sanction commissions. At the Austrian FVA they never ask for any MRI, says Knille. –	At the event the boxer had the prolonged medicals with his blood test. The medicals were proved from the engaged doctor of the event and he gave his green light to fight. Out of that did the German commission BDF accept the fight to take part. –	As we had all the requests the fight did go on, tells Knille. Taras Varava tells about his second fight against Billy Corito. It is now obvious why Billy is called The Hitman. In the first round did Billy hit Taras real hard and it is still hurting in the rips of Taras. In the second round managed Taras to knock down Billy. In the third round was Billy that strong and knocked down Varava three times, so Taras coach through the towel. At the first knock down did Taras twist his foot. When Taras is back in Germany he has to visit the hospital. It is sport and Taras knows it and has respect to Billy, who was that surprising quick and strong for Taras. But never the less, Taras want to come back to Malta. Taras will now fight Billy Corito a third time. The audience will definitely love it. This is a fight between two boxers who are given the audience a tough fight to see! 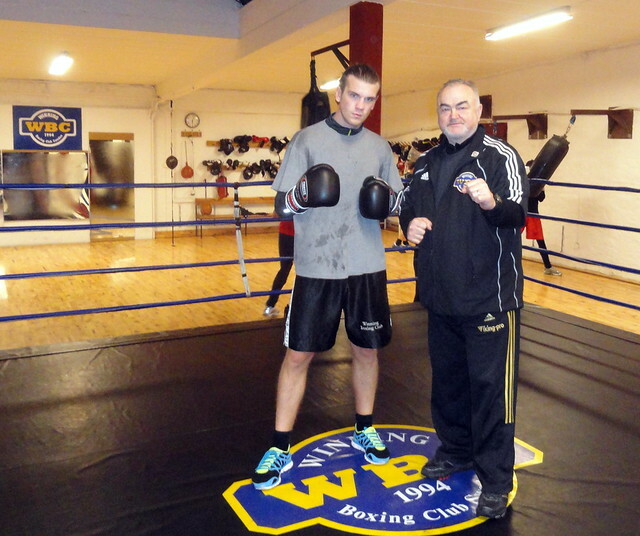 Taras is thankful to his sponsor Powersport for the possibility to exercise the sport he loves, boxing! Get well soon, Tasas and welcome back! 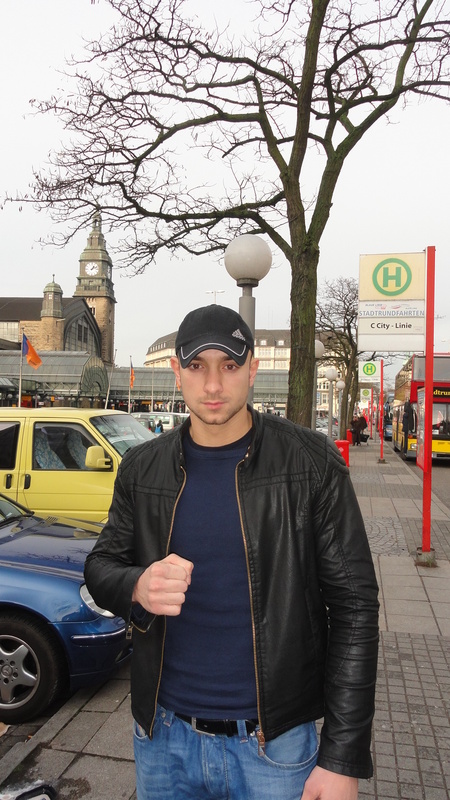 At the fight night in Lübeck won Mohamed Hazuev his fight with KO in Round 1! Congratulations, Mo! Özlim Sahn won her fight as even Ismail Özen won on KO in the last round of his bout. 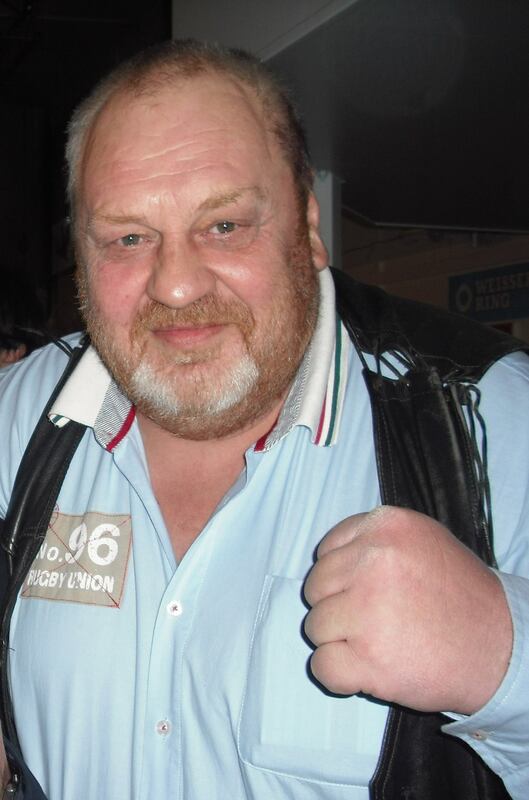 The promoter Rolf Neumann of the event was declared died during the fight night in Lübeck. He left shortly the event and did never return back as he should pay the purses. At the event it was declared after Özlim Sahin´s bout that Neumann died in a traffic accident! Boxwelt.com tells about the story, which seems to be very strange. It was a low numbers of spectators at the event in Lübeck, around 100-200 spectators only. There are signs that Rolle Neumann is still alive. The police has no report of death in traffic accident that night and the mobile of Rolle was swift off at midnight but was shortly on again about 2.30 am. An event which involves WBU (German version) and sanctioned by BDF. 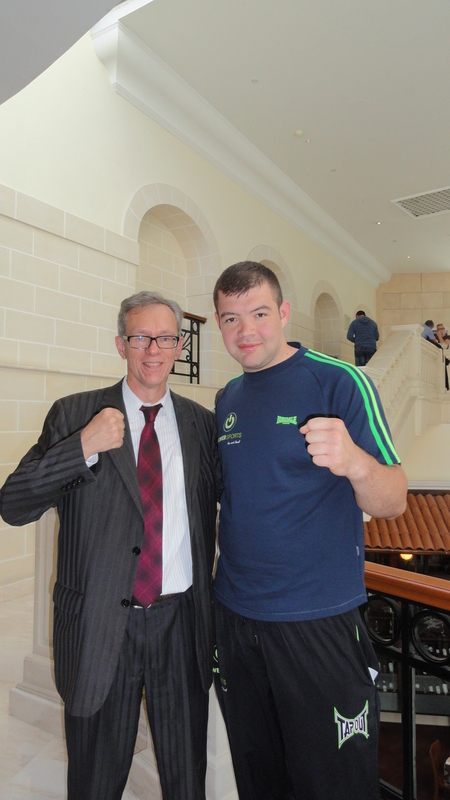 At the event in Malta on Friday was even a WBU title fight with Scott Dixon and sanctioned by BDF. The doctor tells that there is at the hospitals in Malta no MRI done the last two years of Scott Dixon. Even his blood test was not finally cleared, tells the sport doctor Mark Xuereb. How BDF let the fight be sanctioned is even strange. Gianluca di Caro and Marc James, both MBC, are investigating in this case. Sven Fornling won his 3rd fight, 3rd KO! Results from Switzerland, Sefer Seferi won! VINCENT FEIGENBUTZ A NAME TO REMEMBER! Wenn ein Politiker oder ein Manager neu im Amt sind, bekommen sie in der Regel von Kritikern 100 Tage, ehe die sich zu Wort melden – so oder so. 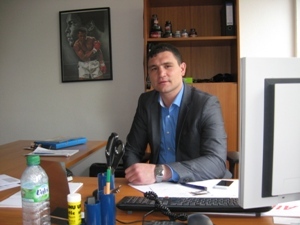 Alexander Alekseev ist allerdings schon 150 Tage als Promoter der EC-Boxpromotion in Amt und Würden, aber noch ist der frühere Amateur-Weltmeister und Profi-Europameister von keinem Journalisten „angemacht“ worden. Es gibt einfach keinen Grund, denn der Mann, der am kommenden Mittwoch 33 Jahre alt wird, macht seine neue Arbeit im Hamburger Büro ausgezeichnet und erntet dafür Lob von EC-Boss Erol Ceylan. Wie fühlt man sich im neuen Job, Promoter? Alexander Alekseev: „Es gibt immer wieder neue Sachen für mich. Es ist zwar die alte, mir durchaus bekannte Situation, aber jetzt muss ich alles von der anderen Seite sehen. Das ist schon gewöhnungsbedürftig. Jetzt muss ich hier in dieser Position meine Leistung bringen, damit die Jungs ihre Leistung im Ring bringen können“. Im Hinblick auf den EC-Kampftag am 16. Mai in der CU-Arena in Hamburg-Neugraben, was ist im Gym besonders auffällig? Alexander Alekseev: „Da muss ich vor allem Hauptkämpfer Nuri Seferi nennen, der ja um den EM-Titel boxen wird. So durchtrainiert habe ich ihn vier Wochen vor einem Kampf noch nie gesehen, Nuri wirkt total entschlossen, ehrgeizig, er will den Titel gegen den Ungarn Tamas Lodi unbedingt gewinnen“. Wie ist die Stimmung in der Truppe? Alexander Alekseev: „Die ist einfach hervorragend. Das kommt sicher auch daher, dass wir hier unseren Boxern, allen voran Nuri, ein Rundum-Paket bieten. Sie wohnen und schlafen hier in der Villa, wir haben einen eigenen Koch für sie, das Gym ist direkt vor der Tür. Klar, dass die Jungs so völlig focussiert auf den Kampf sein können. Hier gibt es keine Probleme, die sie ablenken“. Alexander Alekseev: „Ja, das stimmt, und wir wollen noch internationaler werden. Das bedeutet für die Boxer, dass sie schnell Deutsch lernen müssen. Darauf bestehen wird. Deutsch ist bei uns die Umgangssprache. Das müssen sie lernen, das ist das A und O. Und das ist auch gut für ihr privates Leben, für die Zeit nach dem Boxen. Natürlich wollen wir erreichen, dass die Jungs auch Interviews geben können – und das geht nur auf Deutsch oder Englisch. Wir können von den Journalisten doch nicht erwarten, dass sie die Heimatsprache der Boxer beherrschen“. Alexander Alekseev: „Stimmt, als der Schwede vor zwei Monaten zu uns kam, sprach er nur Englisch. Aber er sagte auch gleich: Passt auf Leute, in wenigen Wochen spreche ich nur noch Deutsch mit euch. Und Adrian ist auf dem besten Wege, er macht das ausgezeichnet“. Alexander Alekseev: „Stimmt genau, es melden sich tatsächlich viele, denn der russische Box-Markt ist sehr, sehr groß. Und wenn du dort im Land nicht die Nummer 1, 2 oder 3 bist, dann erreichst du auch nichts, gar nichts. Aber natürlich müssen wir genau hinsehen, wen wir verpflichten wollen. Er muss einfach in unser Team passen“. In der CU-Arena kämpfen etliche Jungs, die hier wenig oder noch gar nicht bekannt sind. Gibt das nicht Probleme, was die Zuschauer-Resonanz angeht? Interview with the 13x Champion! We are very proud to have Marlon Hunt in Malta. Listen to Marlon Hunt explaining all his 13 belts. Amazing! And it be more as Marlon now will start with boxing as well. Taras has made his weights today. He was surprised that the information he got yesterday was not true. Billy Corito had 114 kg (not 101 kg as told) and Taras Varava 111 kg. If anybody did not understand the provocative question it will be said clearly: This is a real fight. Pure boxing-sport! Taras is NOT in Malta to lose! He will try his best to win! The weigh-in started an hour late, because the officials was not informed. The opponent for Scott Dixon has been changed. He had no visa. Another promoter (a real gentleman) is leaning gloves so that the boxers can fight tomorrow. I was not allowed to visit the weights. No problem with that, I can live with that. The officials, my friends from Germany and Belgium, were very surprised about that. Boxers and coaches who asked me why I wasn’t inside were even very disappointed about such a decision. I asked Scott what about the event tomorrow, will I get an accreditation or not. He said they will talk with me after the weights. I had other appointments to do, so I was not waiting until the end. The new opponent to Scott was still not there. His plane from Georgia had not arrived yet. George Kandelaki, supermiddleweight, no 458 in ranking at boxrec, from Gori, Georgia is the new opponent. Born the same day as the heavyweight boxer with the same name from the same place. Easy to get confused. George has fought 18 times with a record of 11(2)-6(1)-1. Gary Hincks did not want to have me inside the weights. As I understood they think that I am acting as a spy for MBC, as I am the vice chairman and acting supervisor at MBC. Gary said that MBC is an unprofessional organisation and a real kindergarten. I answered Gary, that he is free to have his opinion and I don’t care about that and I respect that he is engaging another organisation for his sanction. He is free to do that and it’s alright for me. The using of BDF was initiated of Torsten Knille, WBU (German version), and I am just happy to see my friends visiting Malta. 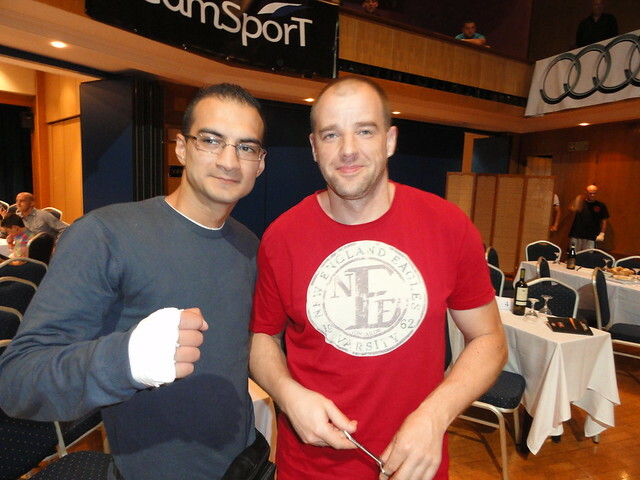 Benny Decroos, Belgium, who will be referee for Scott’s fight. I haven’t seen Benny since he was a referee in Berlin 2012 at an event that GBA sanctioned an I helped Maria Lindberg, Sweden, to fight there. Maria is a member of the German BDB and Regina Bergemann, nowadays BDF, wrote the authorization to box for Maria for that event in Berlin. Regina I met in Germany during my Christmas‘ vacation 2013 in Hamburg. Regina will be the supervisor of the event tomorrow. Irene Kostenko, Hamburg, is representing the Russian Boxing Federation in Germany, and is represent of GBU and WIBF in Russia (like I am representing GBU and WIBF in Malta). Irene has her ITS Boxpromotion with successful boxers like the female champions Nikki Adler and Natalia Smirnova, Irene has arranged boxing events in Russia and Chechnya which were live-streamed. The event tomorrow will not be broadcast and after all these cirumstances I have decided that this event is not worth for me to attend. I wish all the boxers good luck and clean fights. Long live the boxing! Ashvin Diolle will fight against Franco Fenech. Sorry, battery had to be charged, so interview continue in German language (further down). 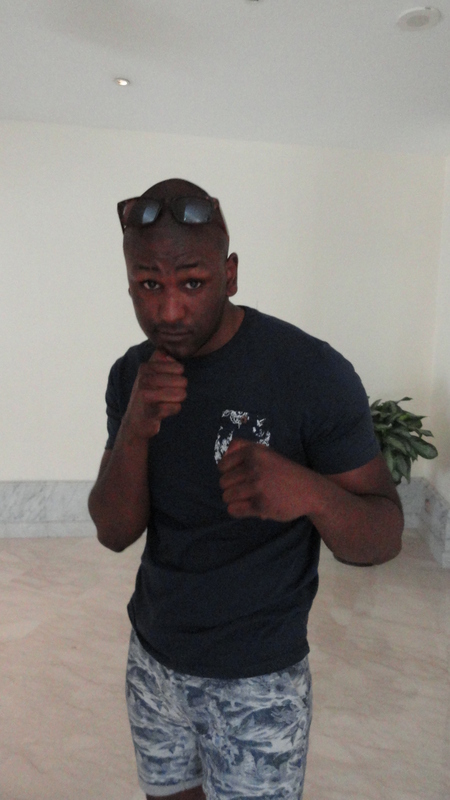 Taras Varava, heavzweight, 2(1)-5(2)-0, will fight against Billy „The Hitman“ Corito, 3(2)-1(1)-0, for the second time. Taras like Malta that much that he consider to move to Malta! Varava has trained very hard for the second fight and is understanding that Corito wants this rematch and will even be very good prepared. He met Billy’s coach who told that Billy has now 19 kg less(!) then last time. Taras is very impressed about this news and is prepared of a very tough fight. Even if Taras won the last time, he will not underestimate his opponent. The fight will not be going the whole distance, it will end with a KO, sazs Taras. He does not know who will win! On a direct question if his is paid to lose and if it is a fixed bout denies Taras. He is not coming to Malta to lose. He will do everything to win a second time and he came to win! Varava has more condition now then last time and is feeling in his best shape ever. Referee Franz Lörinc will guarantee a clean fight and the best man will win.